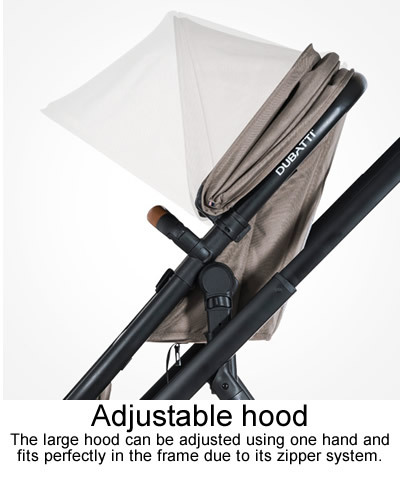 Enjoy your home, city and the countryside with the Dubatti One stroller. 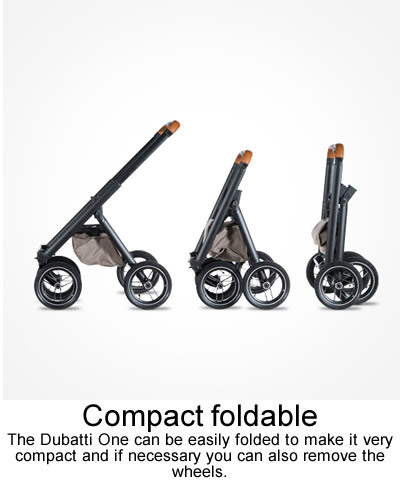 After years of development and testing, the Dubatti One stroller is strong and light, fast and agile, easy to fold and is height adjustable. 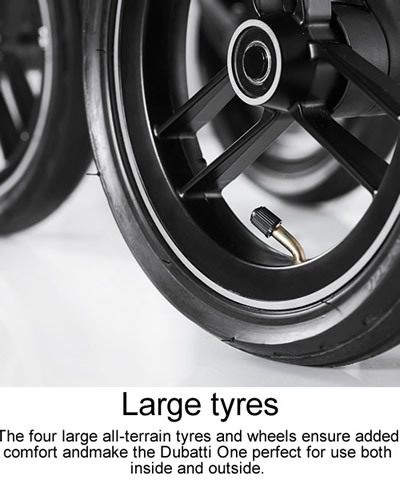 It comes as standard with four tyres and smart accessories. You choose the colour of the frame and handlebar, the fabric base colour and the front wheels. Cool clean or conservative; it's your choice! Configure your own Dubatti One. 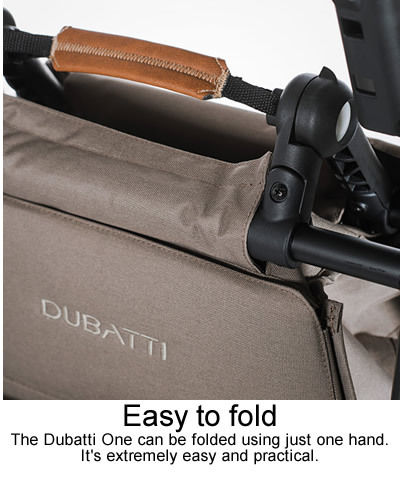 You can personalise your Dubatti One by choosing the colour of the frame, handlebar, base fabric (seat, shopping basket & carrycot), and the front wheels, so you can configure the stroller that suits you. Dubatti products come with a standard 2 year manufacturers guarantee. Please complete the registration form on the Dubatti.com website to activate your product guarantee and to ensure you receive optimum assistance. 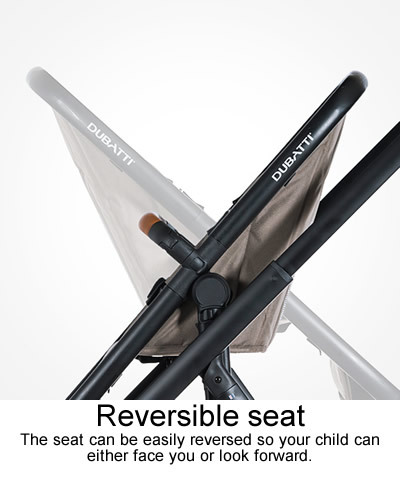 Reversible reclining seat, adjustable handle height, quick and easy compact fold. 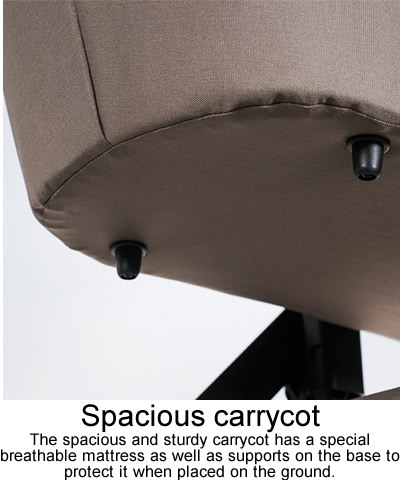 It's extremely practical. 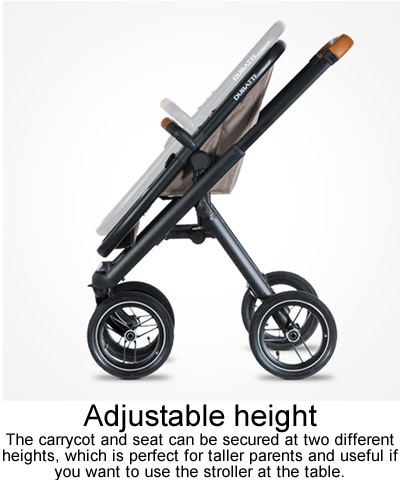 The lightweight Maxi-Cosi CabrioFix baby car seat faces the rear and is suitable from birth to 12 months or 13kg and attaches to the Dubatti Chassis with the included adaptors to form a stylish travel system. 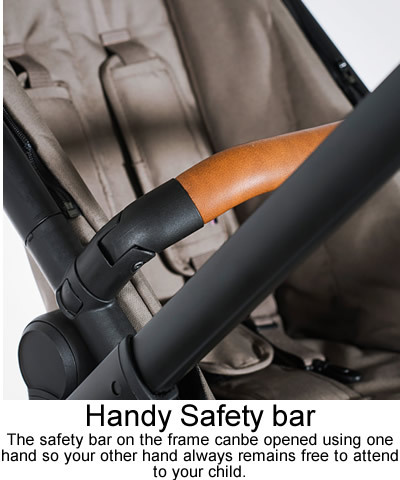 This car seat features enhanced Side Protection System and a soft padded seat with newborn seat reducer. 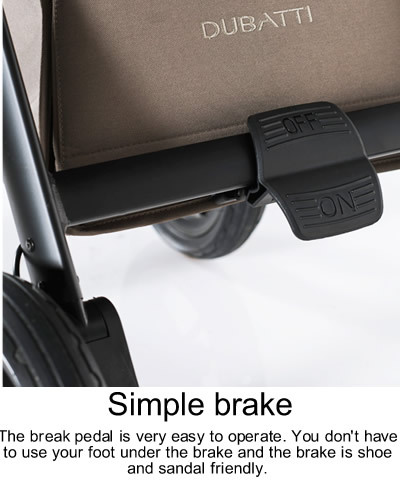 Practical belt hooks help to keep the harness out of the way when placing your child in the seat. 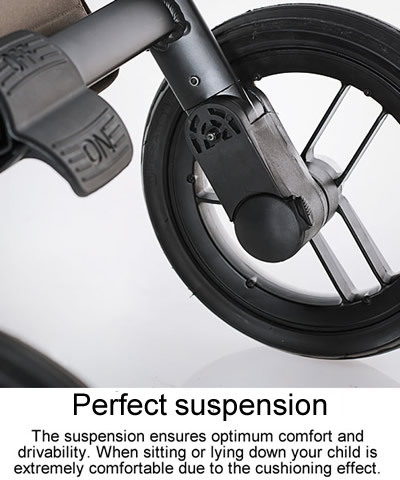 A one-pull harness adjustment ensures its correct tension. 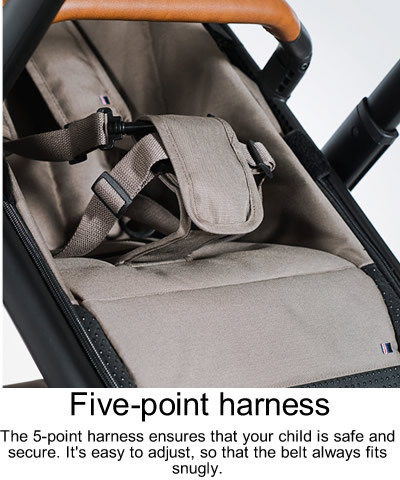 As your baby grows the harness and head hugger can be altered to ensure that it is always positioned correctly. The sun canopy can be found behind the headrest. 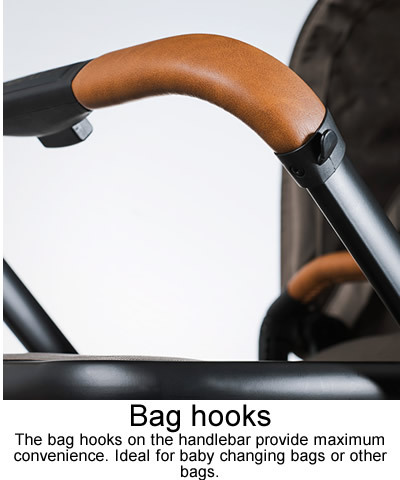 Also featured is an ergonomic carrying handle and a removable and washable cover. 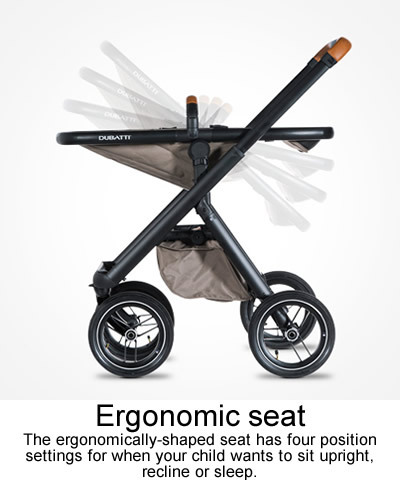 Stroller with seat Dimensions: W61cm x D84cm x H101-105cm. Weight with All-Terrain wheels - 12kg. Weight with City Life wheels - 11kg. 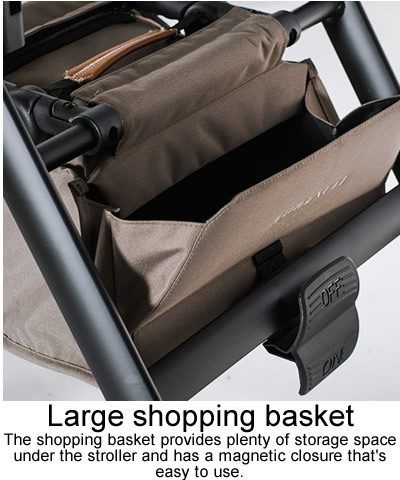 Stroller with carrycot Dimensions: W61cm x D95cm x H113-117cm. Weight with All-Terrain wheels - 12.5kg. Weight with City Life wheels - 11.5kg. 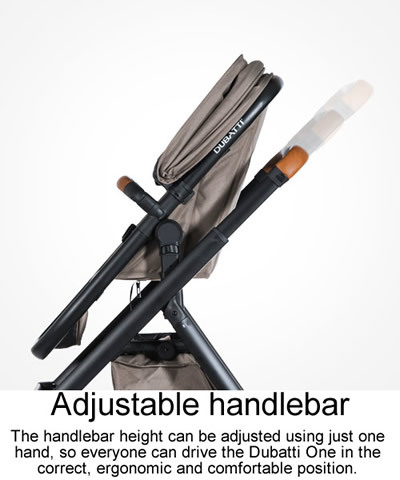 Stroller folded Dimensions: W61cm x D93cm x H30cm. Weight with All-Terrain wheels - 9kg. Weight with City Life wheels - 8kg. 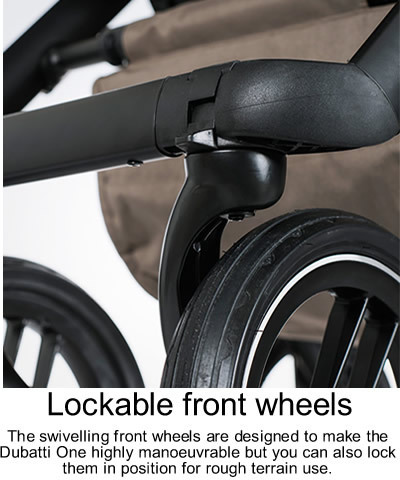 Stroller folded without wheels Dimensions: W53cm x D81cm x H15cm. Weight - 4.5kg.